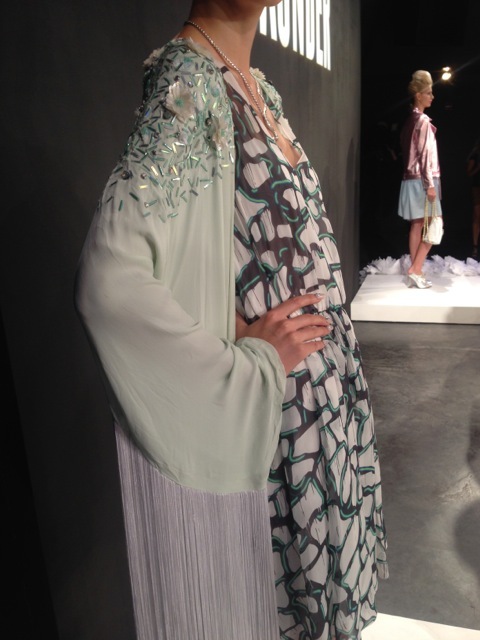 Emily Saunders took us to the rock 'n roll Garden of Eden for her spring/summer 2015 collection. Inspired by the song "Inna Gadda Davida" and the heavy metal sounds of the late 60s, her presentation was a mashup of bright color, witty references and oh so feminine looks ranging from playful sportif to eclectic dress up that popped with brocade looks like the crop top and skirt combo and a cutout floral peplum dress. Standouts were the crisp white v-neck gown and the leopard print that was shown in a dress paired with an embellished kimono and an effortless skirt. Her outerwear was also done right and included a sharp pink metallic moto that triggered a must-have alluring appeal while the relaxed jacket featuring the Iron Butterfly song was just plain cool. And, it wouldn't be proper nod to the era without references to a few pills which she put on a top, dress and shorts to stay true to the brand's quirky appeal. 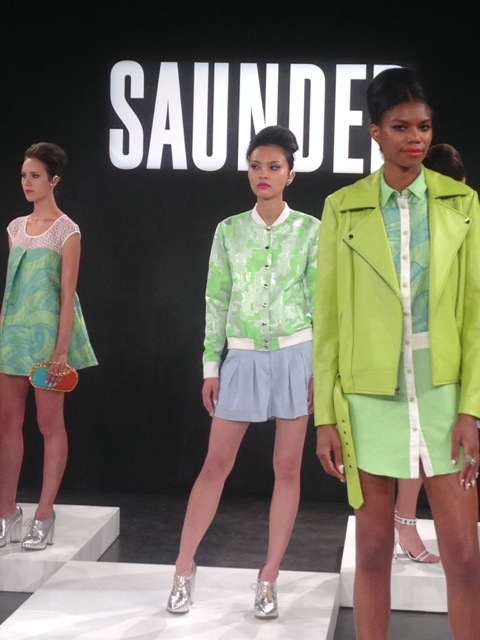 Learn more about this emerging designer label at Saunder.